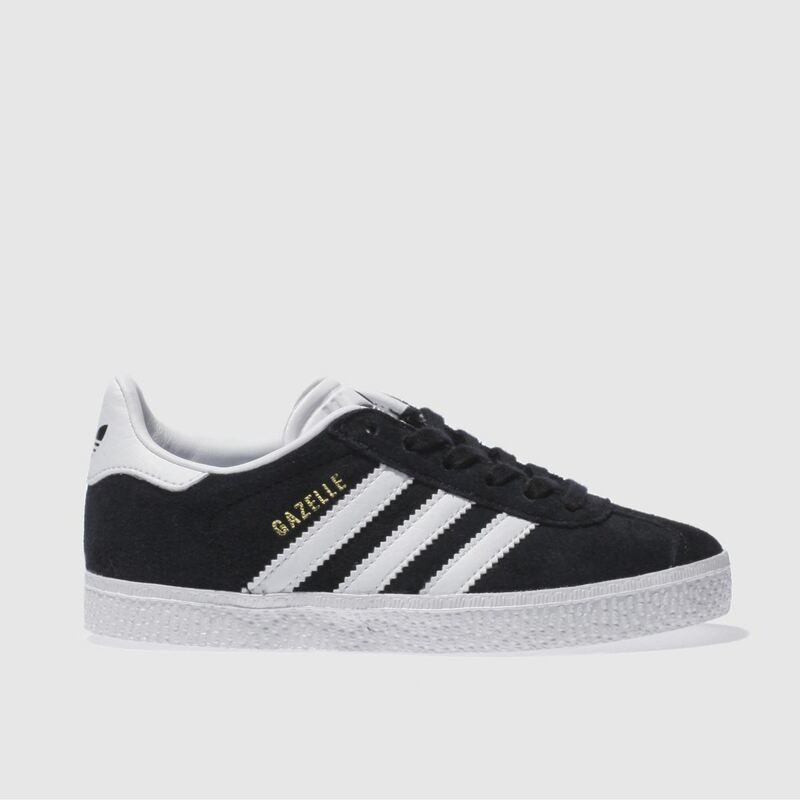 A '90s legend gets downsized for kids and it's a style staple. 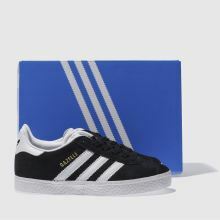 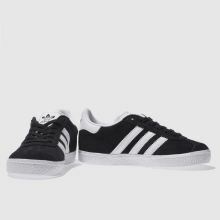 The adidas Gazelle features a black suede upper, joined with serrated 3-Stripe branding in white. 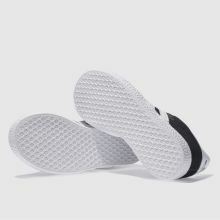 An Ortholite insole keeps active feet fresh and a rubber sole provides a grippy finish.